Meander through the quiet countryside of south Cheshire, crossing canals and circling the Peckforton Hills (dotted with castles). 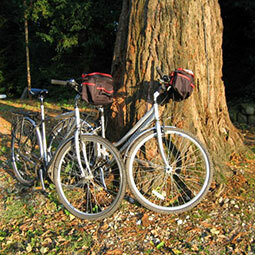 This cycling holiday starts near Chester allowing an opportunity to visit this Roman city at the start or end of your break. Explore Delamere Forest, the largest area of woodland in Cheshire, Mount Pleasant Gardens, Beeston Castle and visit the Dysart Arms one of the best pubs in the area, before heading to Shropshire’s Lakeland. The Ellesmere area has many small glacial lakes, mosses, rare plants and wildlife and cycling is particularly quiet and peaceful with some lanes that rarely see a car!. From here head back to Chester along the Welsh border through the pretty villages of Bangor on Dee and Farndon. 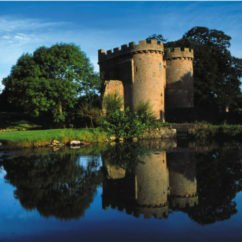 Can add an extra night staying in the Ellesmere/Wem area with circular rides to Colemere Country Park and Whittington Castle. 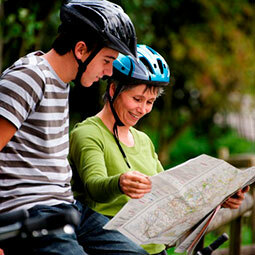 Cycling distances – Gentle 10 – 15 miles (one day 19 – 20 miles), Moderate 20 – 25 miles a day, Strenuous 35 – 40 miles. This is a flexible holiday and we can offer a mix of distances for different days if you want a couple of easy and a couple of moderate/strenuous days. Day 1 – Arrive in Chester from lunchtime. We meet you when you arrive to deliver bikes and adjust them to make sure they are comfortable. Circular ride around countryside on the outskirts of Chester (about 10 – 13 miles) or if you are staying on outskirts of Chester a ride into the city along the canal (no traffic!) (about 10 – 11 miles). Opportunity to look around the Roman City of Chester. Day 3 – Cycle back into Tarporley and then on to Beeston Castle, well worth a visit, with views across 8 counties on a clear day. Go through Bunbury village (small detour here takes you to working water mill and staircase locks on the canal. There is also the excellent Dysart Arms!. From here on to Cholmondeley Castle Gardens (only open Wed, Thurs, Sun and bank holidays). 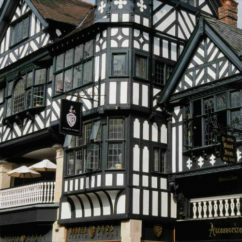 Stay at the Cholmondeley Arms. About 16 miles. 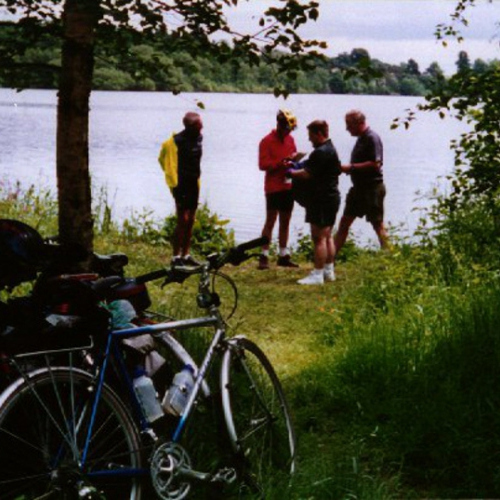 Day 4 – Cycle to Malpas and then through quiet countryside to the village of Hanmer with its small mere and nice pub. After lunch continue on to small market town of Ellesmere. 19 – 20 miles. Day 5- Cycle from Ellesmere to Overton and then on to Tilson. 16 miles. Day 1 – Arrive in Chester from lunchtime. We meet you when you arrive to deliver bikes and adjust them to make sure they are comfortable. Circular ride around countryside on the outskirts of Chester (about 10 – 13 miles) or a cycle ride into the city along the canal (no traffic!) (about 10 – 11 miles). Opportunity to look around the Roman City of Chester. Day 3 – Cycle into Tarporley and then on to Beeston Castle, well worth a visit, with views across 8 counties on a clear day. Go through Bunbury village (small detour here takes you to working water mill and staircase locks on the canal. There is also the excellent Dysart Arms !. From here route goes through canal village of Wrenbury and on to Cholmondeley Castle Gardens (only open Wed, Thurs, Sun and bank holidays). 20 – 25 miles. Day 4 – Cycle to Malpas then through quiet countryside to village of Hanmer with small mere and nice pub. After lunch continue on to the small market town of Ellesmere. About 20 miles. Day 4 – Cycle from Cholmondeley, through Tilston, past Stretton Mill (a working water mill). From here on to the small town of Malpas – nice cafe here and then follow quiet lanes to Hanmer with its Mere and pub. After a break continue on to the market town of Wem. About 35 miles. Day 5 – From Wem, cycle Colemere Country Park and then along the canal to the pretty market town of Ellesmere. From here on to Overton and then past Erdigg National Trust house and gardens and then on to spend a night in the village of Tilston. 42 – 45 miles (but reduce to under 40 miles. Farmhouse B & Bs, or country inns/small hotels. 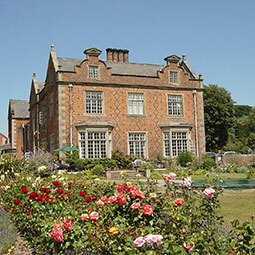 It is possible to have a mix of accommodation and Country House Hotels are available some nights. Please contact us and we can help with the options. Parking at farmhouse near Chester. Hotel parking in Chester is limited – we can alter the starting point on this circular holiday to accommodate parking if choosing hotel accommodation. We're more than happy to help you book your ideal holiday. Get in touch by calling on (+44) 0151 722 8050, or contact us by email, by enquiring below. 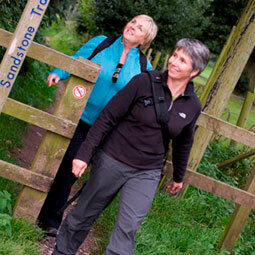 A flexible service for walkers on long distance walks including Offa's Dyke, Pembrokeshire Coast Path and more. By entering your email address you agree to be contacted by Byways Breaks in relation to news and updates. By submitting this form you agree to be contacted by Byways Breaks in relation to your query. To receive ongoing communications from Byways Breaks on news, offers and other applicable information, please tick this box.